May 23, 2018 By Tina M Leave a Comment This post may contain affiliate links. Read my disclosure policy here. I just recently spent a couple of weeks with my kids in Florida and love everything beach. I know how stressful it can be to go on vacation and not know where to start with actually PLANNING your trip. Don’t waste any time wondering which beaches to hit in South Florida? We’ve got you covered! Been there, done that! 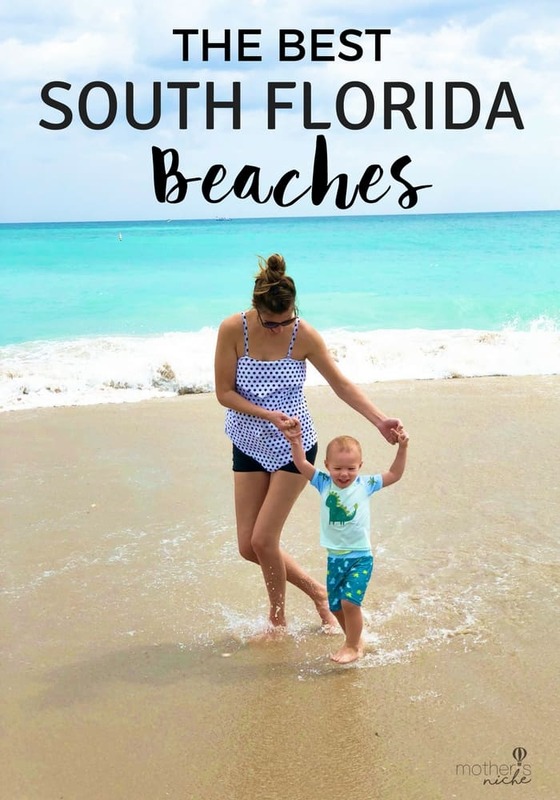 And don’t forget to check out our Things to Do in South Florida Travel guide with all the best tips on things to do while you’re there! Located on a barrier island between the Atlantic Ocean and Biscayne Bay, this beach is actually separated from the city of Miami. The southernmost 2.5 miles of the beach comprise South Beach, one of the most famous beaches in Florida and the U.S.
With miles of pristine shoreline, warm sun and cool breezes, this climate is perfect for your family no matter what time of year you visit. A world-famous tourist destination, this is also a popular area for strolling, jogging, and skating thanks to an elevated boardwalk which runs from 21st street to 46th. It’s close to several sidewalk cafes, bars and concession stands. This beach tends to be quieter and less crowded than South Beach. Northern Miami beach includes an old-fashioned band shell, where concerts are held and it’s a popular music venue. If you’ve seen Miami or a Florida beach in postcards, it’s most likely South Beach. 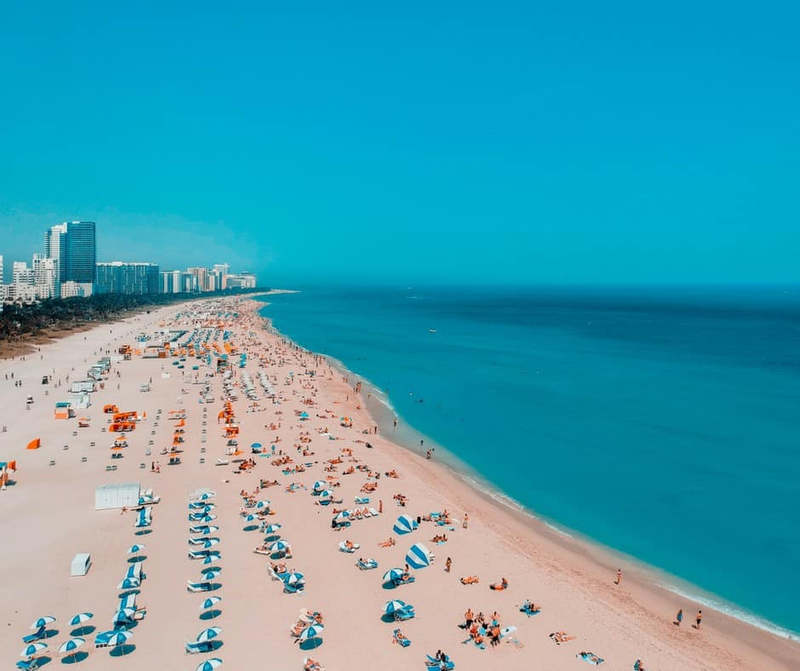 Technically part of the southern tip of Miami beach, this is Florida’s most famous beach and the clear blue water and white sand is a must-see for any visitor. It’s been called the “American Riviera” and is known for not only its beautiful beach but its colorful buildings and well-reserved art deco architecture. If you want to take a break from the sun, you can check out one of the many museums, celebrity-chef restaurants or historic buildings in the area. It’s known as ‘America’s Party Beach’ and attracts a lively crowd of people who enjoy the energy of the place. Be sure to check out the “Duck Tours” vehicles that drive by famous Miami landmarks before driving straight into the sea. These tours are often filled with acting, comedy, jokes and music that are sure to entertain the whole family. You can also check out the Sugar Factory on Lincoln Road if you want to take a break for a sweet treat. You can enjoy a full menu as well as milkshakes, frozen hot chocolates, pancakes, waffles, crepes and their signature King Kong Sundae which is made with 24 scoops of ice cream. 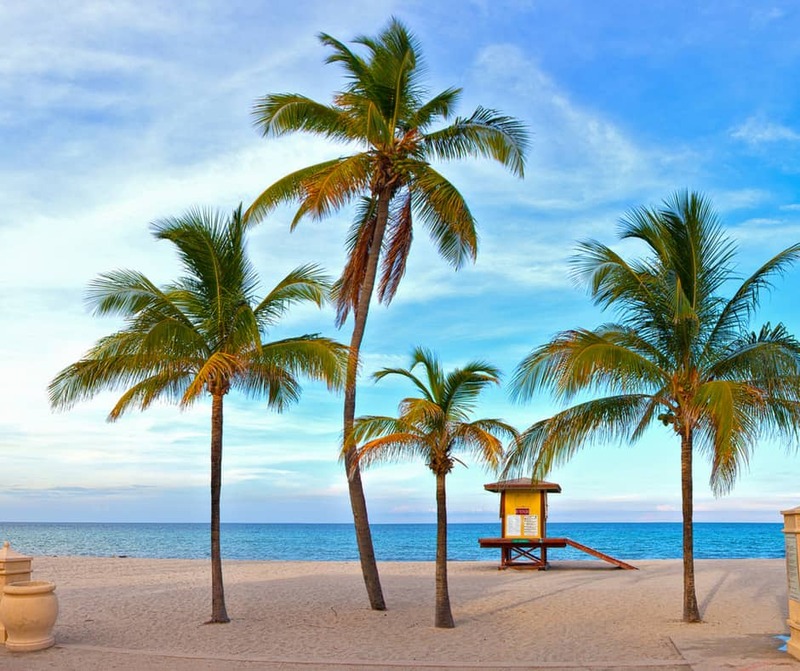 Located between Fort Lauderdale and Miami, this beach is the “cream of the crop” when it comes to beaches. The 1920’s-style oceanfront boardwalk alone sets it apart from the rest, giving it a retro feel. The beach is also, beautiful, clean, and has plenty of space. You can rent a tandem bike to ride down the boardwalk, get ice-cream and tour several of the cute souvenir shops. This beach is great for kids while you eat a picnic on the beach, enjoy the two Broadwalk parks that are great for kids of all ages, play paddleball at the historic Garfield Street courts or cool off in the whimsical dolphin play fountain. This beach is among the first in Florida to be designated “Blue Wave Beaches” which distinguishes them among the nation’s cleanest, safest and most user-friendly beaches. A convenient trolley service runs 7 days a week and is a great way to get to and from the best sites on the beach and downtown Hollywood. 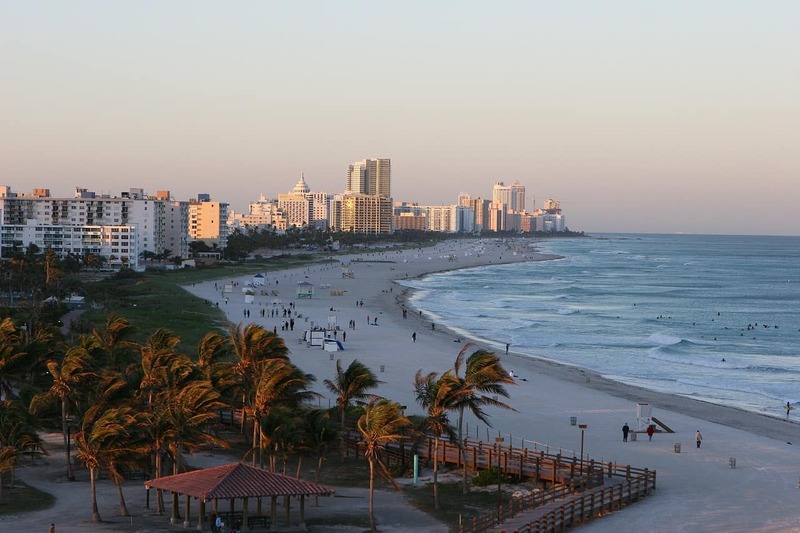 Sometimes referred to as a “hidden gem” of the Fort Lauderdale area, Dania Beach is an appealing vacation spot. It also has been awarded “Blue Wave Beaches” setting it apart as one of the cleanest, safest and most user-friendly beaches. More low-key, less crowded beach. It’s slightly less touristy and commercialized. Plenty of parking and the close proximity to the parking lot makes it easy to haul all your beach supplies for the family. There is a beautiful pier with a Quarterdeck restaurant where you can enjoy food and drinks and a break from the sand. If you’re into antiques, be sure to visit the shops along Federal Highway, just north and south of Dania Beach Boulevard. While you’re at it check out Things to Do in South Florida for some more ideas. What are YOUR favorite beaches to visit in South Florida? !